Alex: Halloween was already a few days ago, but that doesn’t stop us to visit some horror fun! We made a final visit to Horrorland, the new scream park in Spain and we were greatly surprised by its evolution. Alex: Halloween is an exciting time for theme parks and guests alike. This American tradition is already spreading out at every corner of the world, and Spain is getting their first scream park this year. 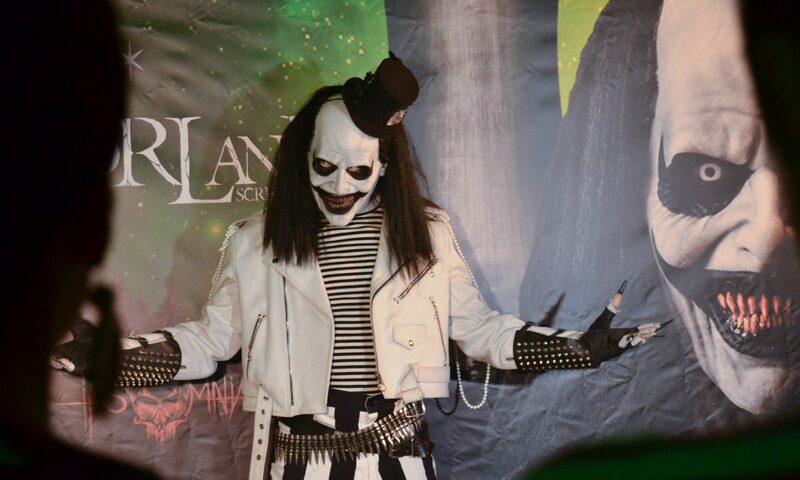 Horrorland opened its doors this week and we were invited to their pre-opening event! Derrion: We had a blast attending this years media night for Knott’s Scary Farm! I’m always excited for the park at this time of year because they have one of the oldest running horror themed events for an amusement park. Knott’s Scary Farm holds a special place in my heart because I grew up attending the event with my family. This update will focus on a review of all the mazes and other additions to this years Knott’s Scary Farm . Halloween Horror Nights 28 Review! Nick: I absolutely love Halloween, so it should be no surprise that Fall is my favorite time of year here in Orlando. All the major theme parks offer excellent Halloween events, but my favorite has to be Halloween Horror Nights at Universal Orlando. I’ve attended the event several times already this year, so I figured it was time to share my thoughts on this year’s haunted houses and scarezones – read on for the full review! Derrion: It is now Halloween season at Six Flags Magic Mountain! This is my favorite time of year because I love getting spooked and seeing the horror genre come to life with-in the park. This update will focus solely on the shows, scare zones, and mazes for Fright Fest 2018. First Look at Stranger Things at Universal Studios Halloween Horror Nights! Alex: The new scream park in Spain is coming along nicely! Thanks to pa-community.com we were invited to their press event to discover brand new things about the most interesting event this Halloween in Southern Europe. Universal Orlando Update – HHN 28 & New Potter Coaster! Nick: Yesterday, we took a walk around Universal Studios Florida to check out the progress of Halloween Horror Nights 28 scare zone construction. We also popped into Islands of Adventure to see the new coaster being built in the Wizarding World of Harry Potter – Hogsmede. Let’s take a look! Poltergeist Announced for Halloween Horror Nights!